Date: June 8, 2019. Time: 10 a.m. – 2 p.m. Seating in the Brand New Lobby of the Holiday Inn. 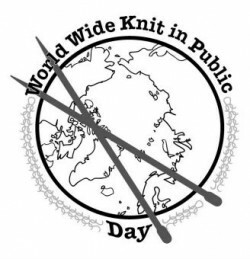 Bring your knitting, crochet, spinning wheels, all things fiber and let's craft together! First 30 attendees receive a goody bag. Drawings for prizes every 30 minutes. Plenty of seating. There is a restaurant in the hotel and coffee shop nearby. This is an indoor event. No back up plan. Number of KIP’s hosted before :-): First time for Con Kasterborous, Hook a Frog has co hosted numerous times for other hosts. Hasn’t the convention been canceled?